Localist lawmaker Cheng Chung-tai has been arrested and charged for allegedly desecrating the national and regional flags after he was seen flipping the flags in protest during a legislative session last October. Cheng, the leader of Civic Passion, was released on bail from the Central Police Station at 1am on Wednesday. He was required to appear before the Eastern Magistrates’ Courts on April 18. Cheng Chung-tai. File Photo: HKFP/Catherine Lai. Cheng had said his office received a phone call from police on Monday asking him to pick up a prosecution notice at the Central Police Station. But he said on social media that the police should have sent the notice to the Legislative Council instead, since he was busy. 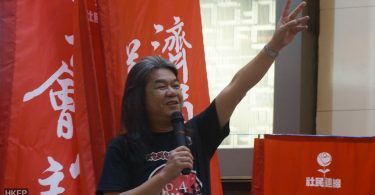 Cheng was set to appear on an online talk show on Tuesday night at the Proletariat Political Institute in Sham Shui Po founded by former lawmaker Raymond Wong Yuk-man. When he arrived, he found that police officers were waiting for him below the building where the institute is located. According to Passion Times, an online media outlet closely related to Cheng, 14 Criminal Investigation Division police officers were present. Cheng claimed he was asked to go to the Cheung Sha Wan police station and then Central Police Station for arrest procedures. At the October meeting, pro-Beijing lawmakers displayed the flags during the session as a political gesture. 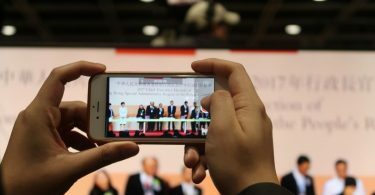 Cheng said at the time that he flipped them upside down because he considered the display to be “cheap patriotic acts,” as pro-Beijing lawmakers ignored livelihood issues and the nationality controversy that LegCo President Andrew Leung was embroiled in. “I flipped the Hong Kong flags upside down on behalf of Hong Kong people to show my discontent,” he said at the time. The police told HKFP that it received a report on October 19 last year that a person flipped the Chinese flag and the Hong Kong flag at the Legislative Council Building. They said that, after seeking legal advice, the police arrested a 33-year-old man on Tuesday, and that he has been detained for investigation. It is an offence to desecrate the national or regional flags by methods such as “burning, mutilating, scrawling on, defiling or trampling on it.” It carries a maximum penalty of a HK$50,000 fine and three years behind bars. Cheng is also facing an investigation by a LegCo internal committee over the incident in an effort to disqualify him from his seat. Other than Cheng, six pro-democracy lawmakers are facing challenges to disqualify them. Those included two facing prosecution over the 2014 pro-democracy occupy protests, and four lawmakers facing a court challenge to disqualify them on the basis of their oaths of office. 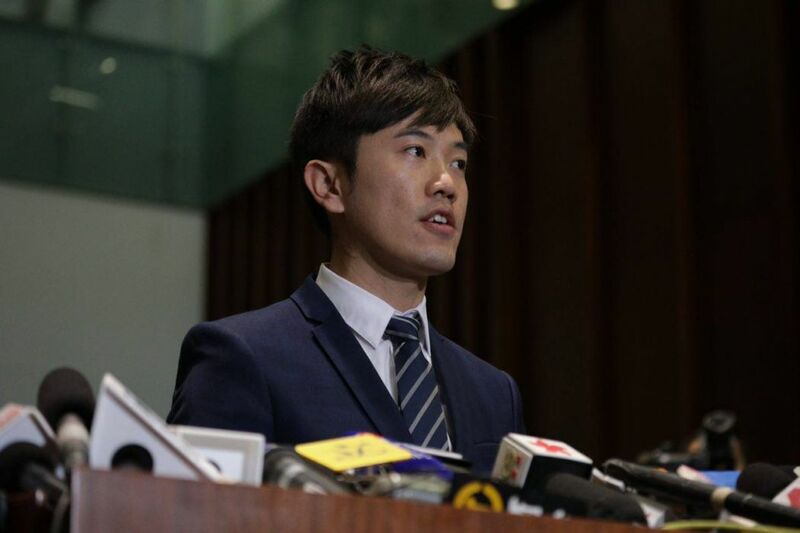 Two democratically elected localist lawmakers – Yau Wai-ching and Baggio Leung – were disqualified last year after losing a court challenge.